WRITTEN FOR MAGAZETA. Click here to read the article in Russian. Participants of the charity raffle at St. Olga's Orphanage. Image: North-China Daily News, 1938. 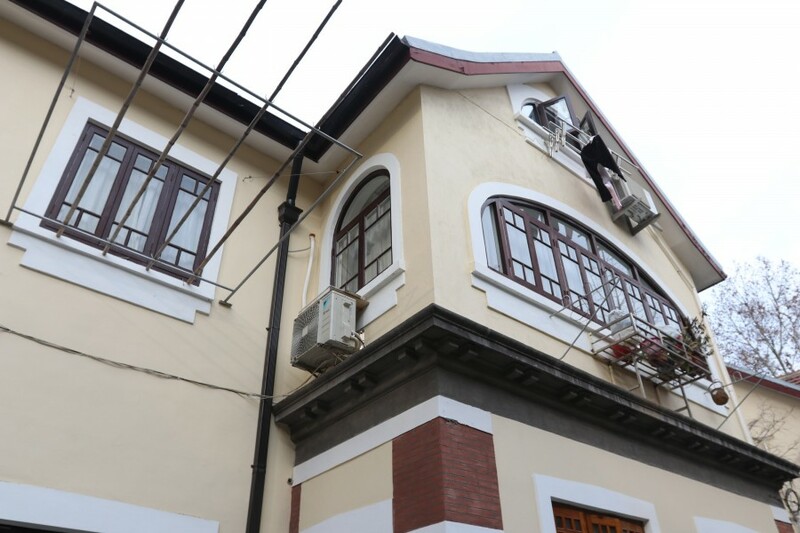 A three-story villa with a spacious front yard, tucked at the end of a short alley at Lane 350 South Shaanxi Road, is one of the lesser-known monuments of the Russian diaspora in Shanghai. 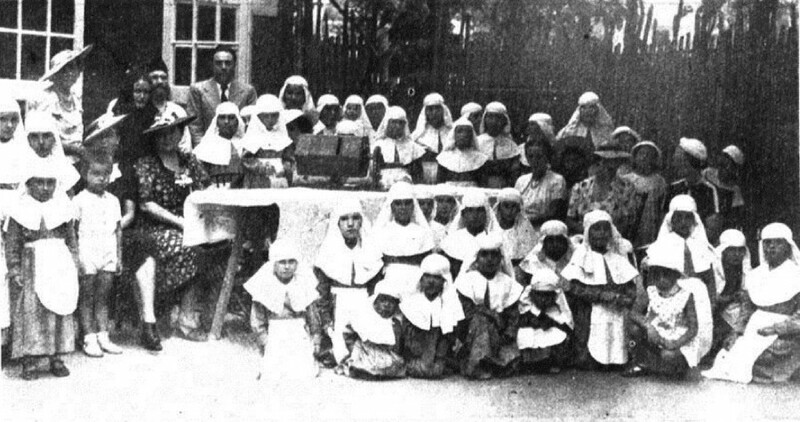 In the years 1935–1948 here was the Orthodox Women's Monastery (Convent) and St. Olga's Orphanage for girls. The villa was built in the 1920s as a residence of a European merchant and his family. In 1935 it was rented out to the Shanghai branch of Harbin's Vladimir Holy Mother Women's Monastery, founded in 1924 by Mother Ruphina. Ruphina, a refugee from the Bolshevik revolution, was an influential Mother Superior and supposedly a miracle worker. Her apprentice Ariadna testified to having witnessed an old and darkened icon from the altar turn to a new and shiny one in Ruphina's hands. It was after this icon and its miraculous transformation that the Harbin-based convent took its name. 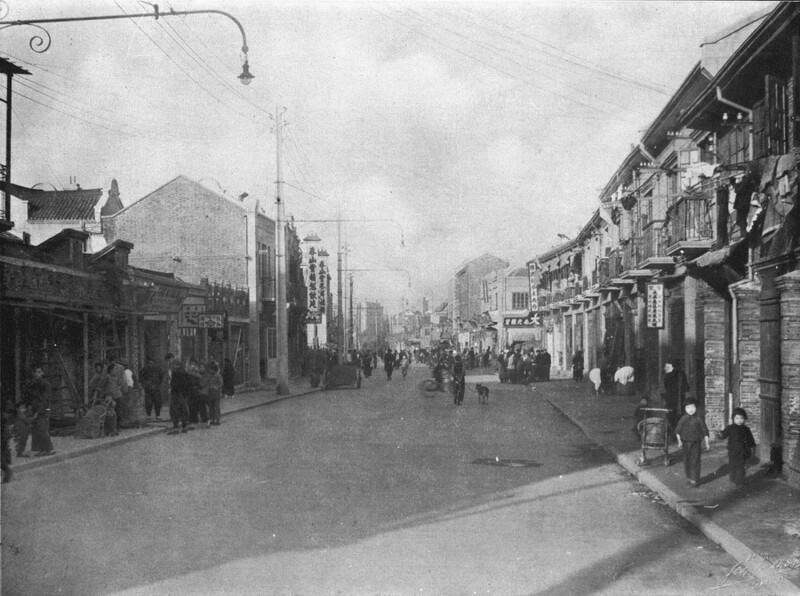 From the end of the 1920s, Harbin's Russians were massively migrating to Shanghai to escape the Japanese threat in the north. 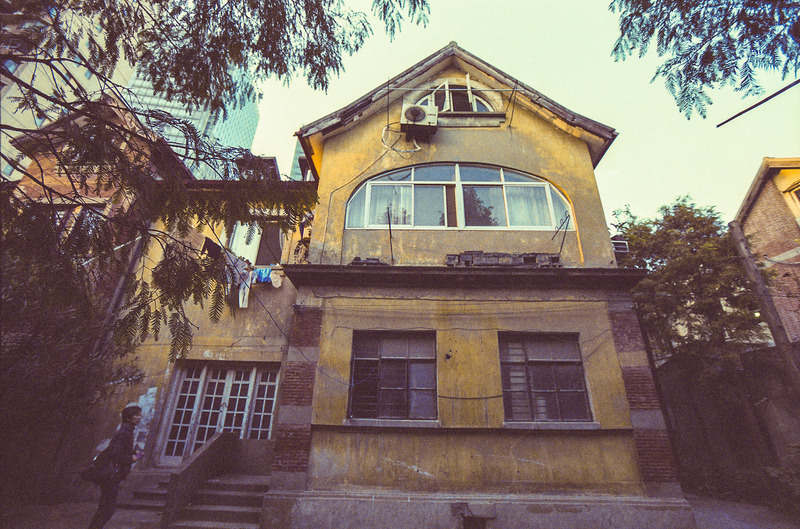 The women's monastery moved to Shanghai as well, setting up a branch in the French Concession. 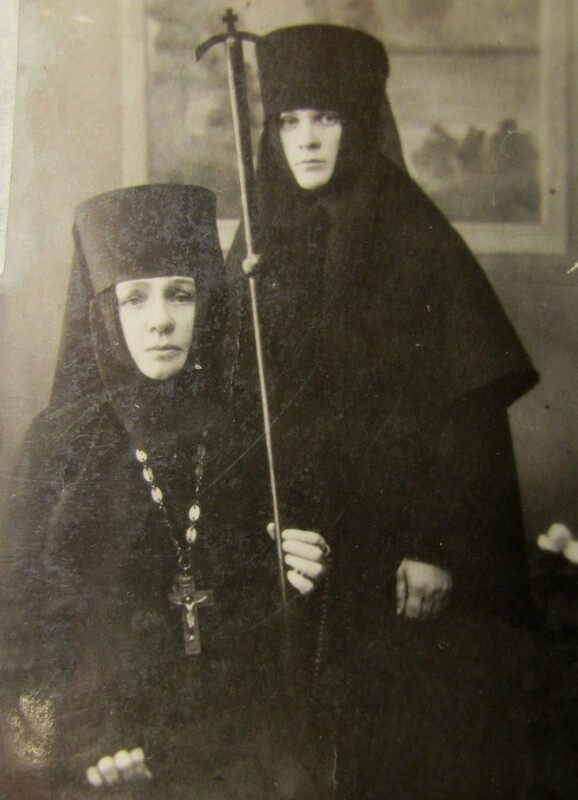 At first, Mother Ruphina supervised the relocation, and when she fell gravely ill in 1937, her assistant Mother Ariadna took over the role of the Mother Superior and saw the move to its completion. Mother Ariadna was born Augista Michurina in 1900, and she lived a long life, moving across three continents. She made sure the girls' orphanage in Shanghai thrived and expanded. 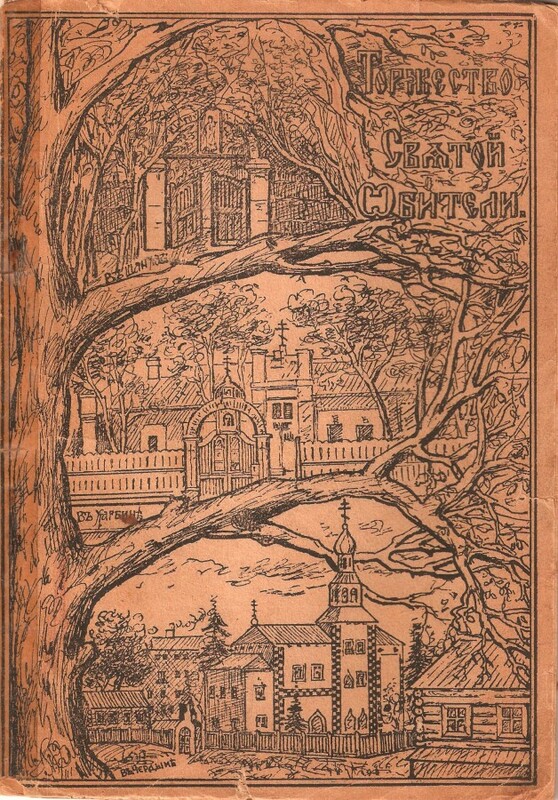 Named after St. Olga (a common choice of a patron saint for this kind of establishment), the orphanage was a female counterpart to St. Tichon's orphanage, led by the Orthodox Bishop of Shanghai, Father John; St. Tichon's mostly took in boys. There were between 40 and 50 girls in St. Olga's Orphanage at any given time, and they were anywhere from six months to eighteen years old. 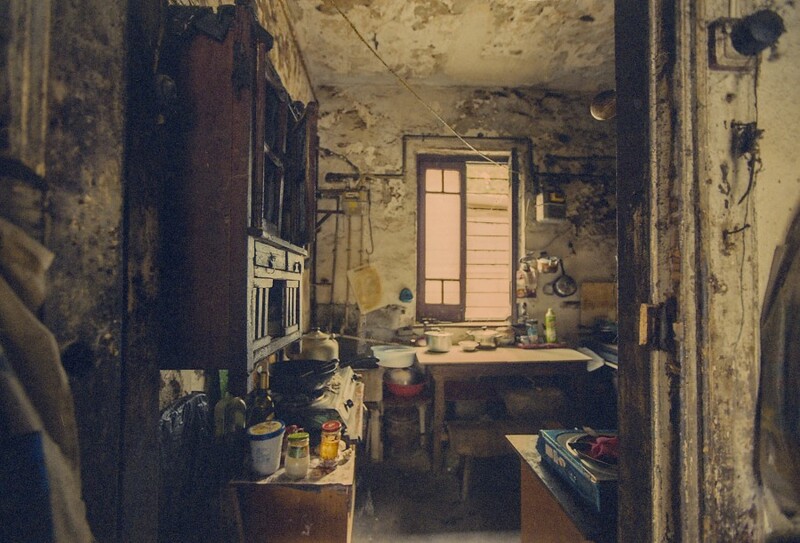 Some were, indeed, orphans; others were picked up from the street where they were begging; yet others were brought by their Russian parents, who were themselves without means; lastly, some girls were admitted on a pay basis, because the education in the orphanage was considered quite good. The Russian and English press lauded St. Olga's Orphanage for its personalized approach to the teaching of skills and sciences, with the heavy emphasis on skills. One article claimed the girls were so well-behaved that they should be referred to as "students" and not "wards." They were taught English and French, arts, piano, sewing, knitting and even home decoration. When funding permitted, in summer the weakest girls were sent to a Dalian resort. 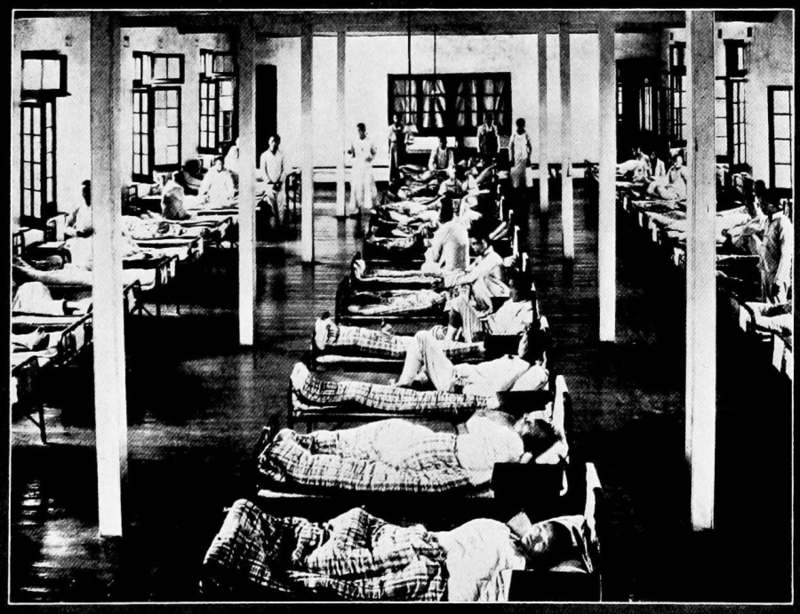 Those with the most aptitude trained to become nurses and hoped to continue their studies in the Aurora University. Mother Ariadna and thirty-three sisters and lay women living in the convent raised funds for the orphanage non-stop. They published ads and notices in local newspapers, announcing raffles, lotteries, charity balls, games of bridge and mahjong; after the events they published names of the benefactors and thanked them. The benefactors' lists contained many foreign names who were often Russian women married to wealthy westerners, such as the couturier Eleanora Garnett and husband Luciano Riggio, fashion salon owner Anna Iskandrian-Hupeden, or society lady Taisia Homiakova-Jaspar. In 1947, St. Olga's Orphanage received a lavish donation of 100,000 silver dollars from the head of the British Indian Muslims Association H. G. Ahmad, and the same amount from his daughter Miss Ahmad. The Japanese occupation from 1937 onward caused inflation and reduction in private donations. 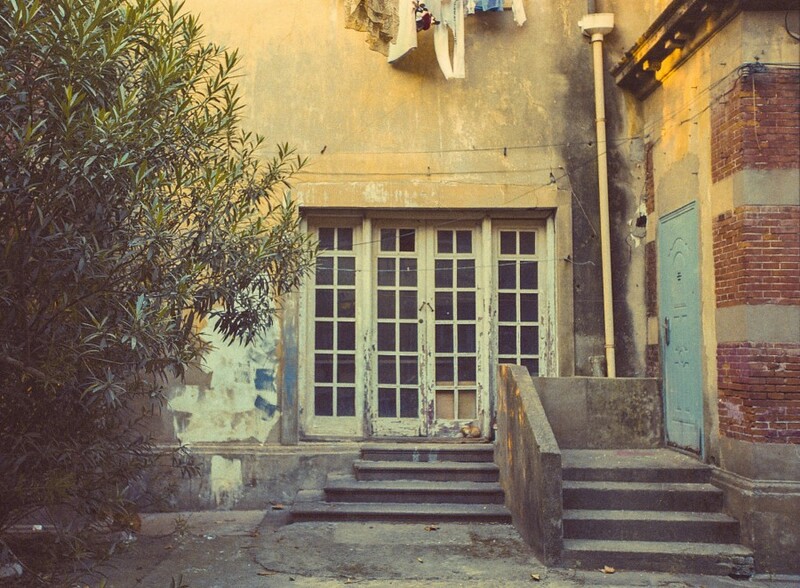 The orphanage solicited even the most basic essentials, such as blankets, sheets, clothing and food. The convent relied heavily on its non-profit businesses to support the operation of the orphanage. The dairy store on the premises sold fresh milk and home-made prostokvasha, kefir, sour cream and tvorog. There was an embroidery workshop and a tailor shop, which sold handiwork of sisters and orphans. Nuns from Harbin who were experts in knitting gave classes in machine knitting and took orders for custom-made garments. 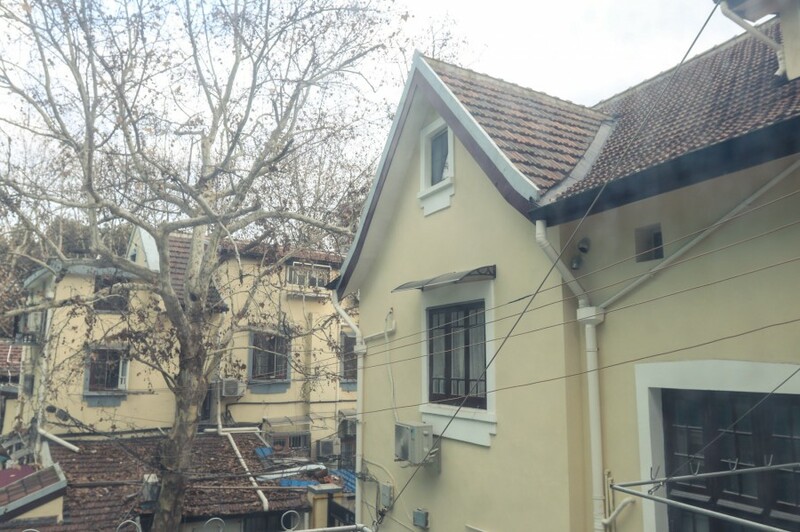 In November 1948, Mother Ariadna organized the move of the whole Convent and all the girls from the Orphanage to San Francisco, where she continued to manage them, and the old villa on Avenue du Roi Albert in Shanghai has become shared housing. Route Vallon, near the corner of Avenue du Roi Albert, where the villa at No. 350 was located. Image: Budgets of the French Concession (1933). 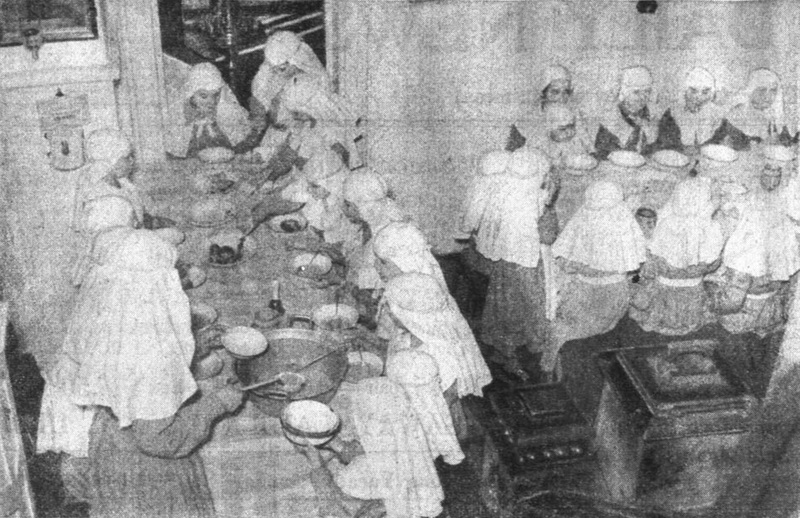 Sisters, laywomen and orphan girls during the meal at St. Olga's Orphanage in 1940. Image: North-China Daily News. Boys and girls from St. Tichon's Orphanage and girls from St. Olga's Orphanage. Image: V. Kuznetsov. Mother Ariadna (left) with a nun. Image. 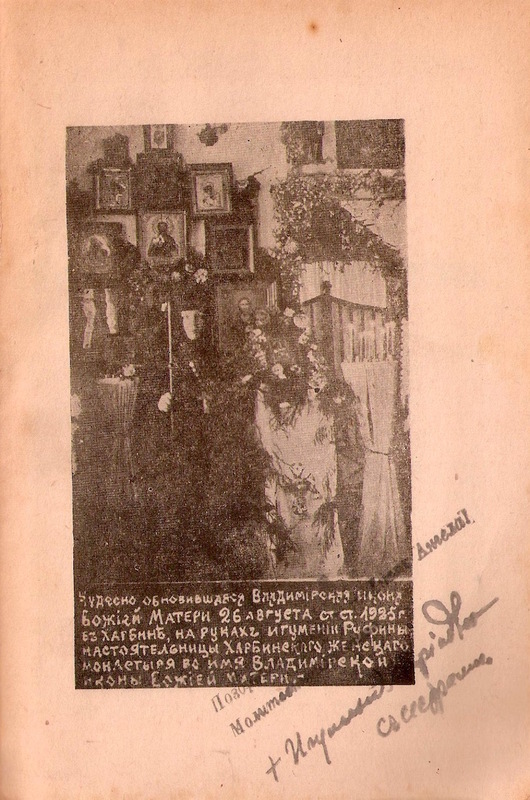 Page from Mother Ariadna's book about Ruphina, describing the miracle of the renovation of the icon, published in Shanghai in 1941. Collection of Mikhal Drozdov. Page from Mother Ariadna's book "The Triumph of the Sacred Convent," published by the Shanghai Monastery in 1940. The gate on top represents the Shanghai convent at 350 Avenue du Roi Albert, followed by Harbin (middle) and Cherdyn (bottom). Collection of Mikhal Drozdov. Former convent & orhpanage in 2013, when it appeared to be on the verge of demolition. The building was renovated in 2018, outside and inside. 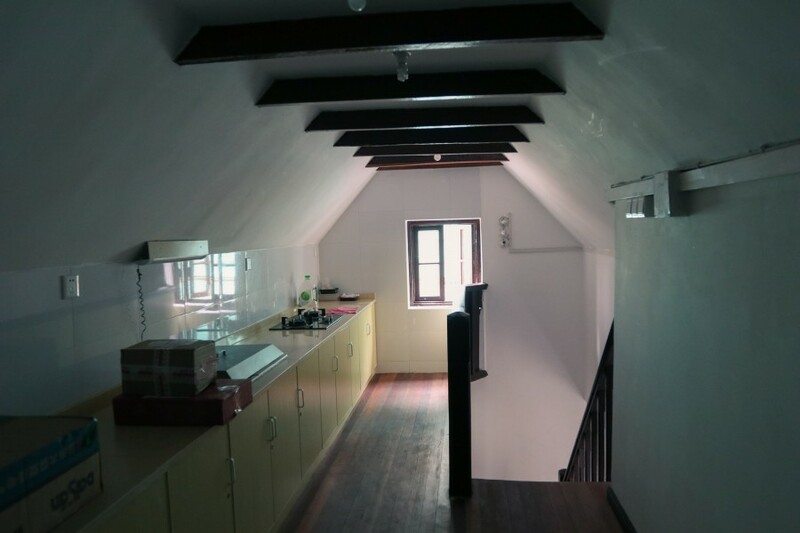 It remains shared housing, although the first floor appears to have been converted to a design firm's office.